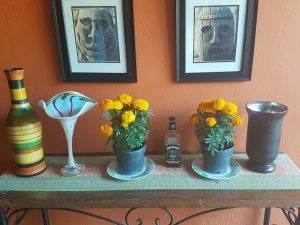 As we move past Halloween and into our local Day of the Dead celebrations, I thought I would share how living here has changed not only the food and drinks I consume but also the events and holidays I celebrate. 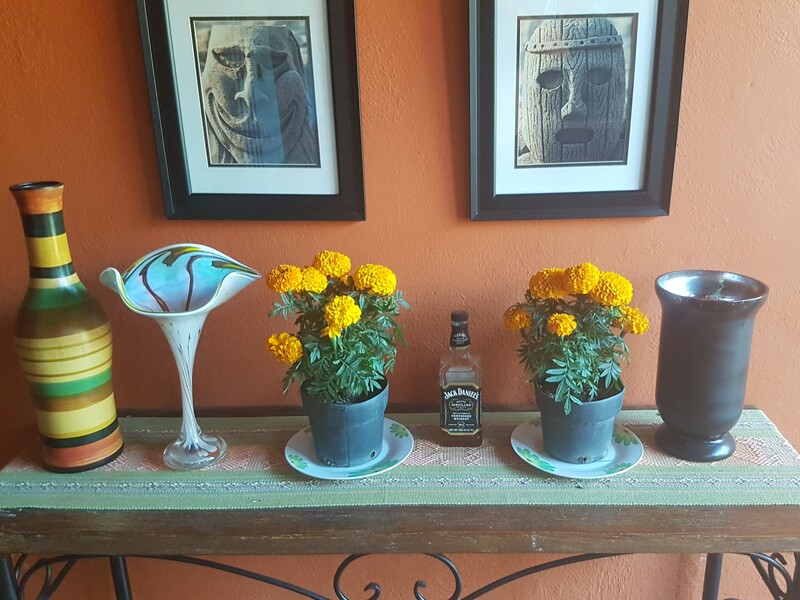 If you asked me ten years ago about the day of the dead, I would have given you a different answer than even five years ago. However, now for very personal reasons, I find myself participating in a tradition that is celebrated across Mexico and combines spiritual undertones from both ancient cultures and more recent religions. Like all holidays expectations around how you celebrate exist , However, given I am not much of a traditionalist in anything in my life, I feel it is ok for me to create what works for me. Plus I have three large dogs and having any food items out on an altar for a week, or more would be a disaster! Food is as always a large part of this tradition. Both in the offering you place on your altar as well as the simple sweet bread that you eat during the holiday. Sugar skulls are sold everywhere including big box stores and adorn the altars. However, they are also are given as gifts to children. The idea of death, and embracing the spirits of your loved ones was so removed from anything I had ever known it took me many years to wrap my head around why people did this. The closest thing I had was the feeling my great grandmother had imparted to me around New Year’s Eve. She always cried a little when a new year rang in. When I asked her about it, she said that it was the day of the year she felt close to her husband and parents whom all had long passed. Moreover, living to ninety-five there were many more family members and friends for her to grieve as time went on. To this day I still cry a little each New Year’s Eve myself, and I always think of her spirit in life. Now with the passing of my spouse of 20 years, I realized that taking time out each year to allow the idea of their spirit to be with you is worth celebrating. Grief was never a wall I was supposed to climb, but instead, it is a wave I need to ride for as long as I live. So this year I have my small altar, nothing formal like it should be. I am just not a crafty person. However, I encourage you all to participate in this tradition and to learn more about it. There are several workshops each year as well as an upcoming cooking class that you can take that helps to understand the meaning of each item on the altar, and how to prepare the traditional foods. As I often say in these articles, the closer you get to living a full and integrated life the more you get out of this experience. I wish you Feliz Dia De Los Muertes may the spirit of your loved ones embrace you with all the love you once shared with them.